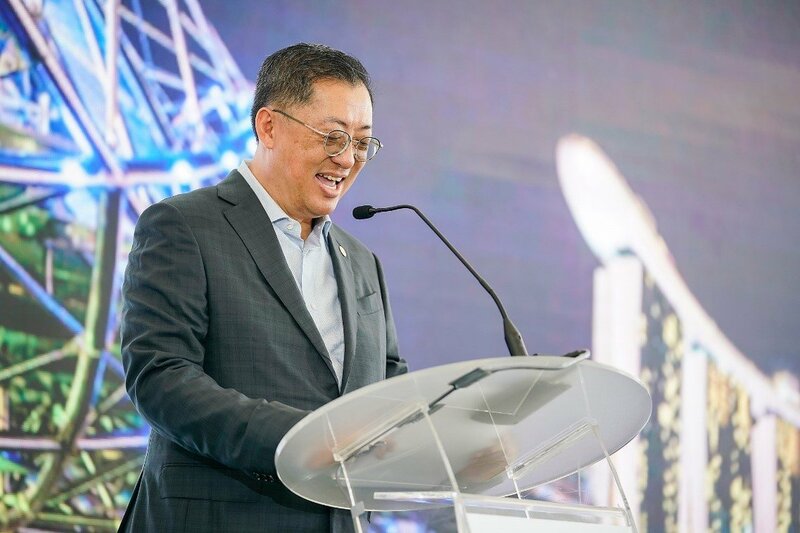 Surbana Jurong Chairman Liew Mun Leong (with microphone) addressing guests after the ground-breaking ceremony. 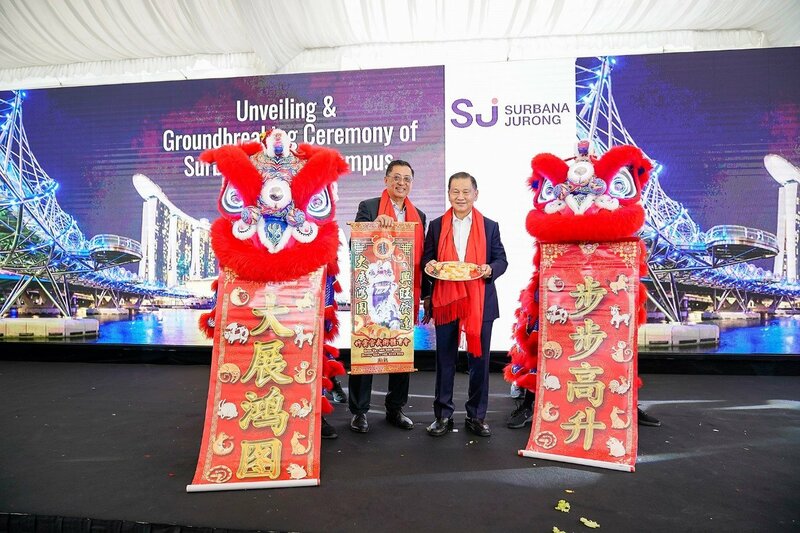 At 3pm on 18 January 2019, Surbana Jurong Chairman Liew Mun Leong and Group CEO Wong Heang Fine dotted the eyes of the traditional Chinese dancing lions on stage at the ground-breaking of the Surbana Jurong Campus, marking a significant milestone in the growth of the Surbana Jurong Group. Surbana Jurong Group CEO Wong Heang Fine (left) and Chairman Liew Mun Leong posing with the lions. 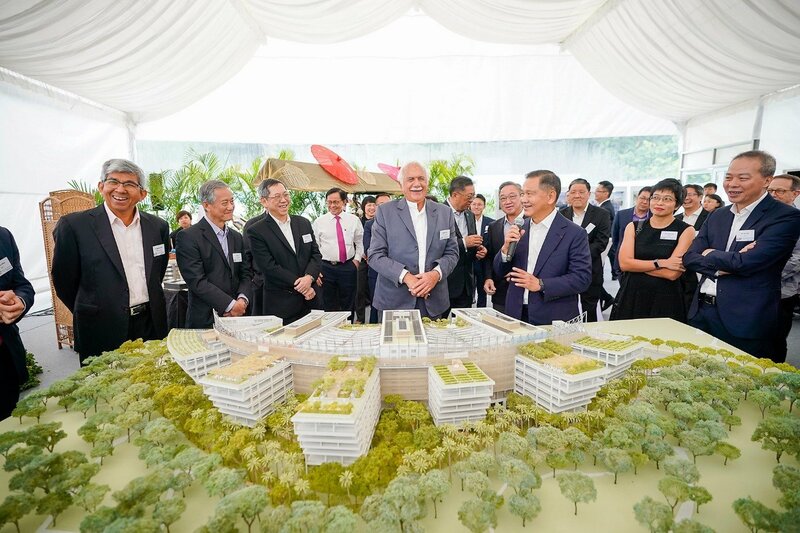 Over 100 guests comprising clients, partners, media and colleagues filled the ceremonial tents at the site of the new Campus in western Singapore, to get a glimpse of the campus that fans out in the Jurong Innovation District (JID). For the ground-breaking moment, attendees witnessed the loading of a “time capsule”. 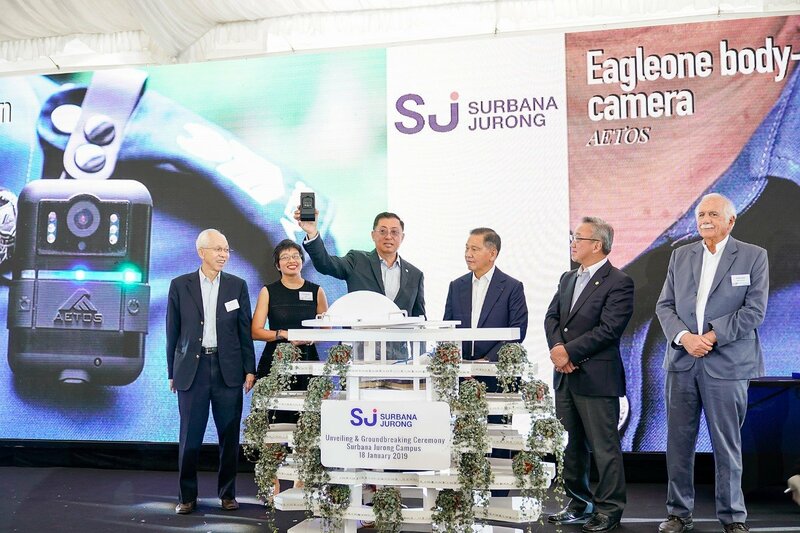 The VIPs on stage placed items of historical and professional significance to Surbana Jurong – including architectural plans and rocks from the Jurong Rock Caverns – into the tiered structure. Learn more about the Surbana Jurong Campus by downloading the below infographics.